Crocker Range Park visitor's centre is about 12 km away from the town of Keningau. This range was gazetted as a park in 1984 due to its importance as water catchment area for the surrounding towns. 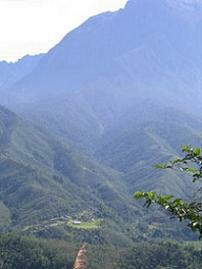 This range covers an area of about 1,392 square km and is located to the south of Mount Kinabalu. 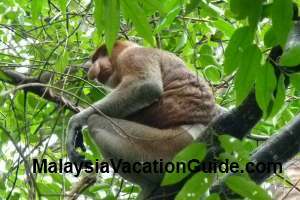 It is also called "Taman Banjaran Crocker" in Malay language. The Kadazan dusun and Murut communities live in various settlements surrounding the range. Rafflesia, the biggest flower in the world. 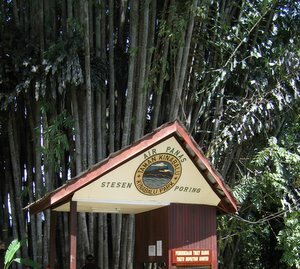 The headquarter of the park is located about 145 km from Kota Kinabalu where the visitor centre is. Basic facility was constructed and opened in 2004 where you can camp and do jungle trekking here. Bird watching is one of the natural attraction here. For those who are into greater challenge, you can do white water rafting at Padas River. Prior arrangement with tour agent is necessary to if you intend to jungle trek or white water rafting. Find out more about Rafflesia, the world's largest flower at The Rafflesia Information Centre on your way here. It is located near Tambunan. 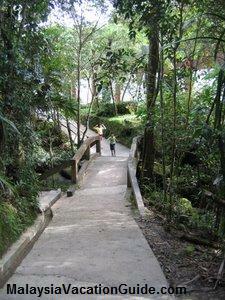 There are trails from this centre where the Rafflesia can be found. It opens daily from 8am to 3pm. Call the centre at Tel : +6 088 898 500 or +6 088 898 501 for more information. 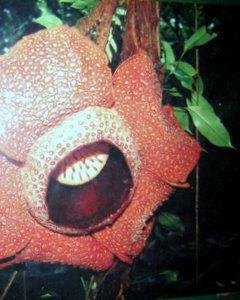 This flower is a parasite which has no root, leaf or stem and its host is a vine called Tetrastigma. Look out also for the following flora at this dipterocap forest. Pig-Tailed Macaques are intelligent and can be trained to pluck cocunuts which are high above the ground. Contact Sabah Parks for permit if you intend to camp here. Admission fee is RM3 per person. Camping fee is RM5 per adult and RM1 for those below 18 years old. If you are coming from Kota Kinabalu, take a bus to Keningau town at the "Long Distance Bus Station" near Merdeka Field. It will cost you less than RM20. Once you arrive in Keningau, take a taxi here. The one-way fare is about RM40/taxi.